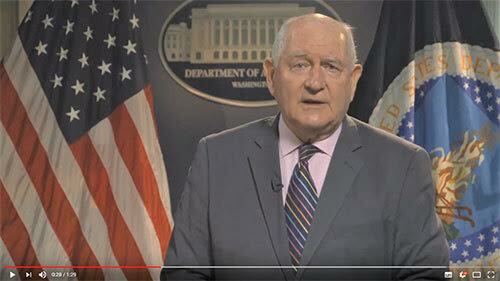 U.S. Secretary of Agriculture Sonny Perdue announced details of actions the U.S. Department of Agriculture (USDA) will take to assist farmers in response to trade damage from unjustified retaliation by foreign nations. President Donald J. Trump directed Secretary Perdue to craft a short-term relief strategy to protect agricultural producers while the Administration works on free, fair, and reciprocal trade deals to open more markets in the long run to help American farmers compete globally. As announced last month, USDA will authorize up to $12 billion in programs, consistent with our World Trade Organization obligations. To watch a video message from Secretary Perdue regarding today’s announcement, you may view Secretary Perdue‘s Overview of Trade Mitigation Package.